In my experience, after the first 2-3 days, no more punishments because the legendary inmate had no occasions to create problems. Maybe was only luck. Or maybe armored guards contributed to keep all other inmates calm. Use super max category and build a mini block with a cell with shower and tv, a solitary cell and a canteen. Super max regime: sleep, eat, lockup. Topic: Legendary prisoner, A "Normal Risk"?? Re: Legendary prisoner, A "Normal Risk"?? Prisoners initial classification may be wrong by design. 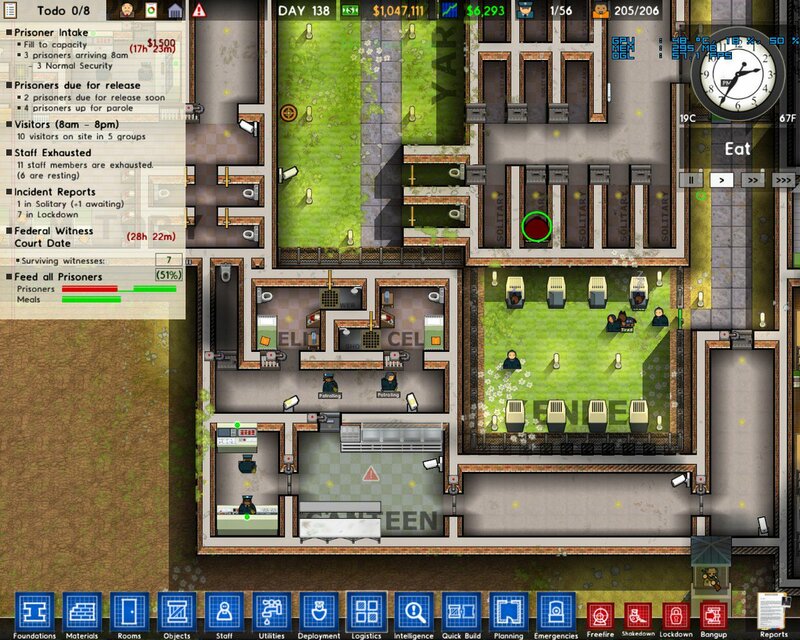 Player should verify the traits and the behavior of the inmates. A legendary prisoner who cause continuously problems, maybe should be confined in a supermax block. Topic: Hoping that Thermodynamics will be improved. Hoping that Thermodynamics will be improved. Really impressive post! Very useful and detailed. Thanks OP. Enabled Events should be added into a save folder, in between Bio Versions and Begin Cells: EnabledVisibility true ObjectsCentreAligned true FailureConditions true BioVersions 4 EnabledEvents true BEGIN Cells BEGIN "0 0" Mat PavingStone Con 24.44763 END Thanks! Thanks so much! as title says, there is a string to add to previous save in order to activate random events? 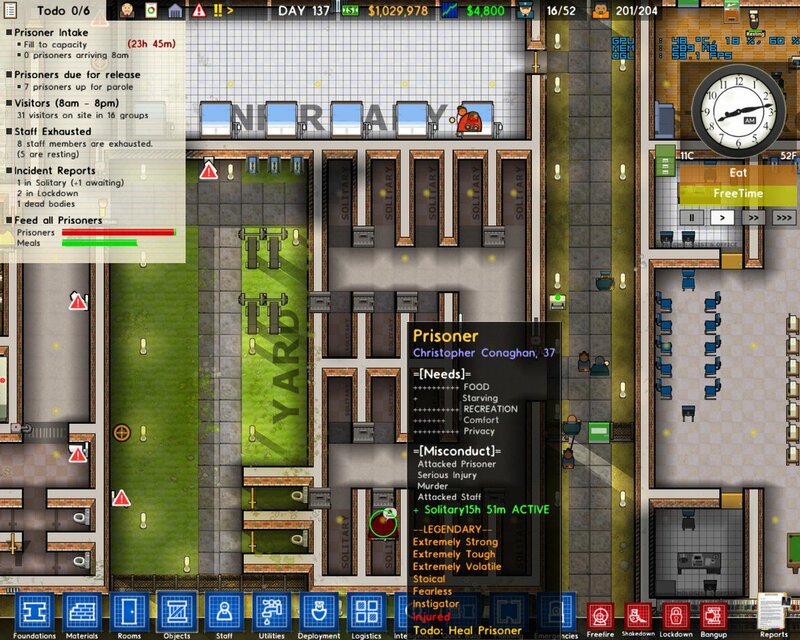 In my actual prison, no freetime / work for max sec, but I have only 200 inmates. The fps drop to 20 if I have more inmates. Wonderful idea for scenarios / campaign. In over 350+ hours, never experienced a fire nor a big riot. It wipe only stationed guards, not patrol route, not dog patrol, not armed guards.